This is a shield shaped Automobile Blue Book Inn porcelain sign. 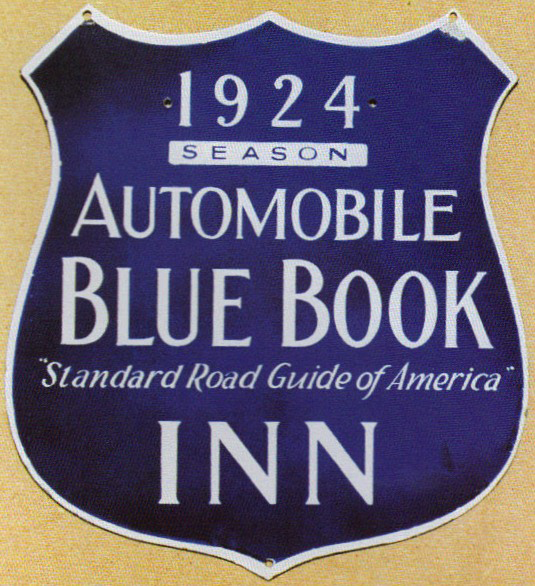 This particular Automobile Blue Book Inn sign is blue and white. It reads, “1924 Season, Automobile Blue Book Inn, Standard Road Guide of America” and has a white border.